Are you facing a problem with the Microsoft Edge, Firefox, Microsoft Internet Explorer and Google Chrome internet browsers that constantly redirects to a questionable web site named Zcontentdelivery.info? Then, there are chances that are your PC is infected by malicious software from the adware (sometimes called ‘ad-supported’ software) family. The adware is an undesired software that is going to display you lots of notifications, ads, popups and deals. Of course, it’s not a malware or virus in the “general meaning” of this word. It’ll not delete or damage your files, but it can modify some machine’s settings or download and install other malicious apps. So, you’d better to get rid of adware using the guide below and thus delete Zcontentdelivery.info pop-ups and notifications. The adware that responsible for internet browser redirect to the unwanted Zcontentdelivery.info web page, may add a lot of advertisements directly to the web-pages that you visit, creating a sense that the advertising links have been added by the creators of the web-site. Moreover, legal sponsored links may be replaced on the fake ads, that will offer to download and install various unnecessary and malicious apps. The worst is, the adware be able to collect marketing-type data about you which can be later used for marketing purposes. You don’t know if your home address, account names and passwords are safe. We strongly advise that you perform the steps below which will assist you to get rid of Zcontentdelivery.info pop-ups using the standard features of Windows and some proven freeware. Fortunately, we have an effective solution that will help you manually or/and automatically remove Zcontentdelivery.info from your web browser and bring your browser settings, including startpage, default search provider and newtab, back to normal. Below you will find a removal guidance with all the steps you may need to successfully remove adware and its traces. Read it once, after doing so, please print this page as you may need to close your web browser or restart your personal computer. Read this “How to remove” section to know how to manually delete adware that causes multiple unwanted advertisements. Even if the instructions does not work for you, there are several free malicious software removers below that can easily handle such ad-supported software that causes a large amount of intrusive Zcontentdelivery.info advertisements. It’s of primary importance to first identify and get rid of all potentially unwanted programs, adware software and browser hijackers through ‘Add/Remove Programs’ (Windows XP) or ‘Uninstall a program’ (Windows 10, 8, 7) section of your Windows Control Panel. Scroll through the all list, and delete dubious and unknown applications. To quickly find the latest installed applications, we recommend sort apps by date. In order to recover all web-browser start page, default search provider and newtab you need to reset the Microsoft Internet Explorer to the state, that was when the Microsoft Windows was installed on your PC. You will now need to reboot your machine for the changes to take effect. It will remove ad-supported software which causes unwanted Zcontentdelivery.info notifications, disable malicious and ad-supported internet browser’s extensions and restore the Microsoft Internet Explorer’s settings such as newtab, default search provider and startpage to default state. 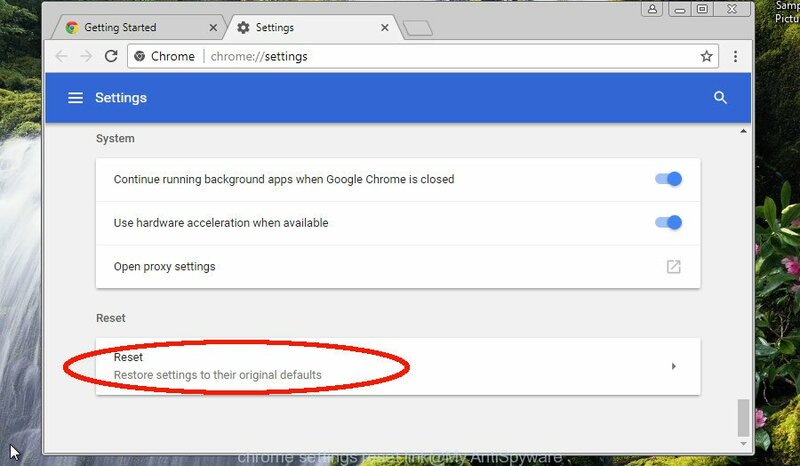 If you have ad supported software problem or the Google Chrome is running slow, then reset Google Chrome settings can help you. In the steps below we will show you a way to reset your Google Chrome settings to original state without reinstall. This will also allow to remove Zcontentdelivery.info notifications from your web browser. 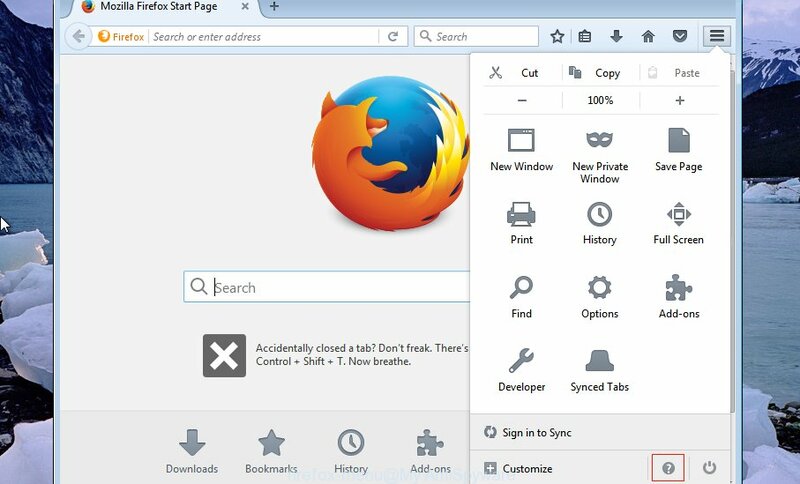 If your Mozilla Firefox internet browser is redirected to Zcontentdelivery.info without your permission or an unknown search provider opens results for your search, then it may be time to perform the web browser reset. However, your themes, bookmarks, history, passwords, and web form auto-fill information will not be deleted. Anti Malware programs differ from each other by many features such as performance, scheduled scans, automatic updates, virus signature database, technical support, compatibility with other antivirus programs and so on. We suggest you use the following free software: Zemana Anti Malware, MalwareBytes Free and Hitman Pro. Each of these programs has all of needed features, but most importantly, they can scan for the ad-supported software and remove Zcontentdelivery.info ads from the Mozilla Firefox, Chrome, IE and Edge. Zemana Free is a free application for MS Windows OS to detect and get rid of PUPs, ad supported software, harmful web-browser extensions, browser toolbars, and other undesired applications such as adware that responsible for browser redirect to the annoying Zcontentdelivery.info site. Once the download is finished, close all apps and windows on your computer. Open a directory in which you saved it. Double-click on the icon that’s named Zemana.AntiMalware.Setup as shown on the screen below. When the setup starts, you will see the “Setup wizard” that will help you install Zemana Free on your computer. Now click the “Scan” button for checking your computer for the ad-supported software which cause unwanted Zcontentdelivery.info popup notifications to appear. When a threat is detected, the number of the security threats will change accordingly. Wait until the the scanning is finished. When that process is complete, the results are displayed in the scan report. Review the results once the tool has done the system scan. If you think an entry should not be quarantined, then uncheck it. Otherwise, simply press “Next” button. The Zemana Anti-Malware will get rid of ad supported software which cause unwanted Zcontentdelivery.info pop up notifications to appear and add items to the Quarantine. HitmanPro is a free removal tool. It deletes potentially unwanted applications, ad supported software, hijacker infections and undesired web browser extensions. It’ll identify and delete ad-supported software that causes browsers to show undesired Zcontentdelivery.info advertisements. Hitman Pro uses very small PC resources and is a portable program. Moreover, Hitman Pro does add another layer of malware protection. In the Hitman Pro window, press the “Next” . HitmanPro utility will start scanning the whole PC system to find out adware that causes tons of annoying Zcontentdelivery.info pop up notifications. This procedure can take quite a while, so please be patient. When a malware, adware or PUPs are detected, the number of the security threats will change accordingly. As the scanning ends, a list of all threats found is prepared. All found items will be marked. You can get rid of them all by simply press “Next”. Now, click the “Activate free license” button to begin the free 30 days trial to get rid of all malicious software found. You can remove Zcontentdelivery.info pop ups automatically with a help of Malwarebytes Free. We suggest this free malicious software removal tool because it can easily get rid of browser hijackers, adware, potentially unwanted software and toolbars with all their components such as files, folders and registry entries. Visit the page linked below to download the latest version of MalwareBytes Anti-Malware (MBAM) for MS Windows. Save it on your Microsoft Windows desktop or in any other place. After the downloading process is complete, close all software and windows on your PC system. Open a file location. Double-click on the icon that’s named mb3-setup. Once setup is finished, press the “Scan Now” button to perform a system scan with this utility for the ad supported software that causes multiple intrusive notifications. A system scan may take anywhere from 5 to 30 minutes, depending on your machine. When a malware, adware or potentially unwanted apps are detected, the number of the security threats will change accordingly. 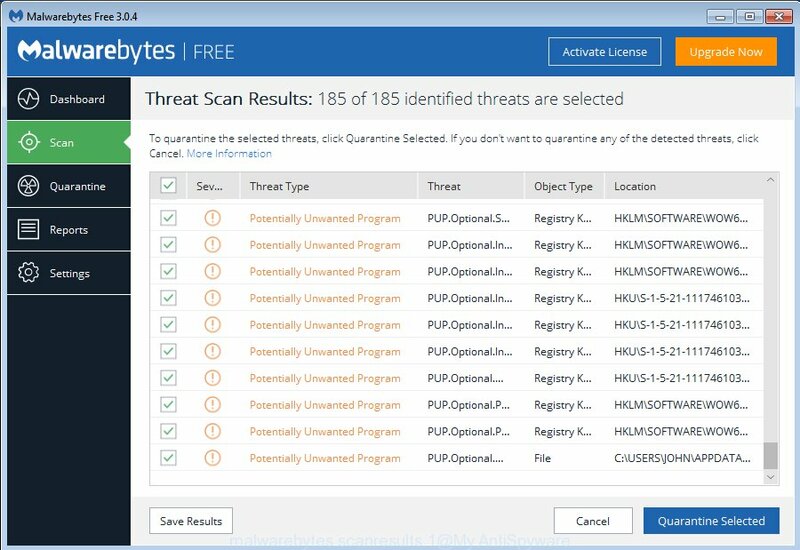 When the scan get completed, MalwareBytes will open a screen which contains a list of malware that has been found. Review the report and then press “Quarantine Selected”. When finished, you can be prompted to restart your system. The following video offers a few simple steps on how to get rid of browser hijacker infections, adware and other malware with MalwareBytes Free. In order to increase your security and protect your computer against new annoying ads and harmful web sites, you need to use adblocker application that stops an access to harmful advertisements and sites. Moreover, the program can stop the display of intrusive advertising, that also leads to faster loading of web-pages and reduce the consumption of web traffic. After downloading it, double-click the downloaded file to launch it. The “Setup Wizard” window will show up on the computer screen as displayed on the screen below. Each time, when you start your system, AdGuard will start automatically and block pop up ads, Zcontentdelivery.info pop-ups, as well as other harmful or misleading pages. For an overview of all the features of the program, or to change its settings you can simply double-click on the AdGuard icon, that can be found on your desktop. In many cases, the adware gets onto PC by being attached to the setup files from a free hosting and file sharing pages. So, install a freeware is a a good chance that you will find a bundled adware. If you don’t know how to avoid it, then use a simple trick. During the install, select the Custom or Advanced setup option. Next, click ‘Decline’ button and clear all checkboxes on offers that ask you to install bundled software. Moreover, please carefully read Term of use and User agreement before installing any software or otherwise you may end up with another unwanted program on your machine like this adware which made to redirect your web-browser to various ad web-pages such as Zcontentdelivery.info. Once you have complete the guide above, your machine should be clean from ad supported software which cause annoying Zcontentdelivery.info pop-up ads to appear and other malicious software. The Firefox, IE, Edge and Google Chrome will no longer redirect you to various intrusive web-sites such as Zcontentdelivery.info. Unfortunately, if the few simple steps does not help you, then you have caught a new adware, and then the best way – ask for help here.